Let’s turn our focus on the men in our lives, our husbands, sons, fathers, brothers, and boyfriends. Father’s Day is just around the corner and it might be time to consider creating a layout that has that masculine feel to it. Let’s try a bit of a rustic feel, a more masculine color palette and elements of the great outdoors. I had a series of photos that were snapped in succession as my son made his way across the lake, around the canoe before the sailboat and back again. He had a blast. I wanted to get as many of these in the layout. Trouble is they were mostly horizontal photos. My double page layout uses Patterns #352 and #366. 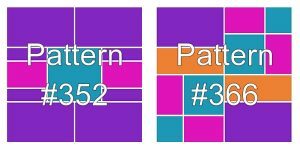 I chose patterns that would accommodate four 3×5 horizontals on one page and two 3×5’s and two 2×5’ on the other. The second page additionally had 2 – 3×3 and 2 – 2×2 squares. We’ll use several of the basic die sets for this project. 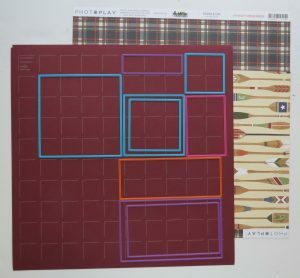 One of the current trends in scrapbooking right now is the many plaids to choose from. Photoplay’s Lakeside Collection has several options but the one that fits with my photos is Paddle On. 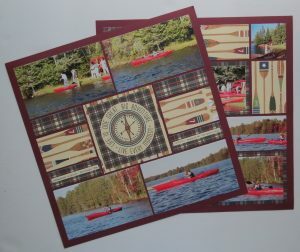 It is a double-sided paper with paddles on one side and a great plaid on the other. 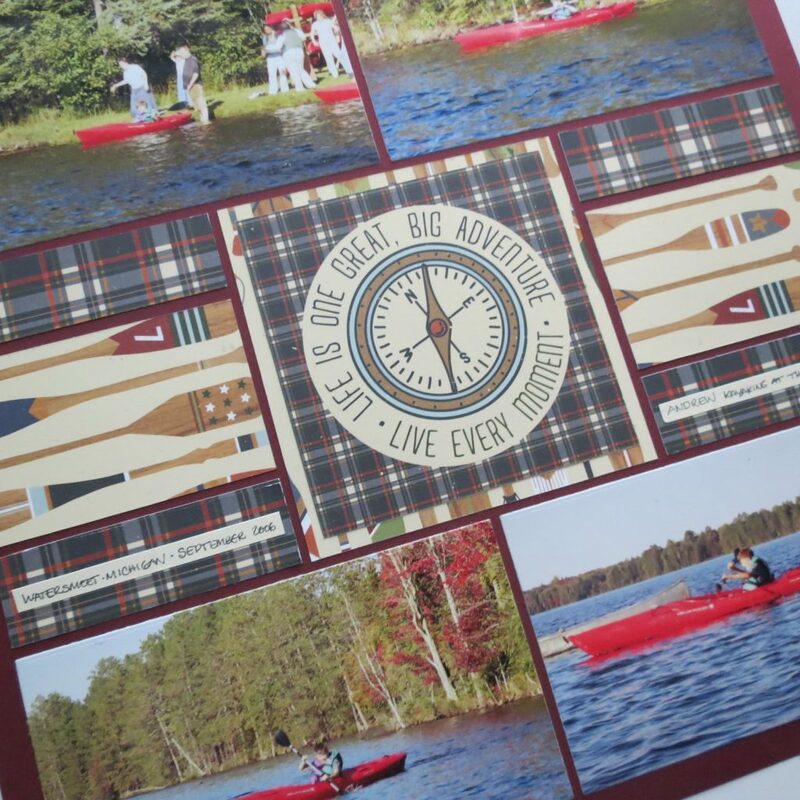 Our Mosaic Moments 12×12 Maroon Grid paper is a great match for the colors of the paddles. 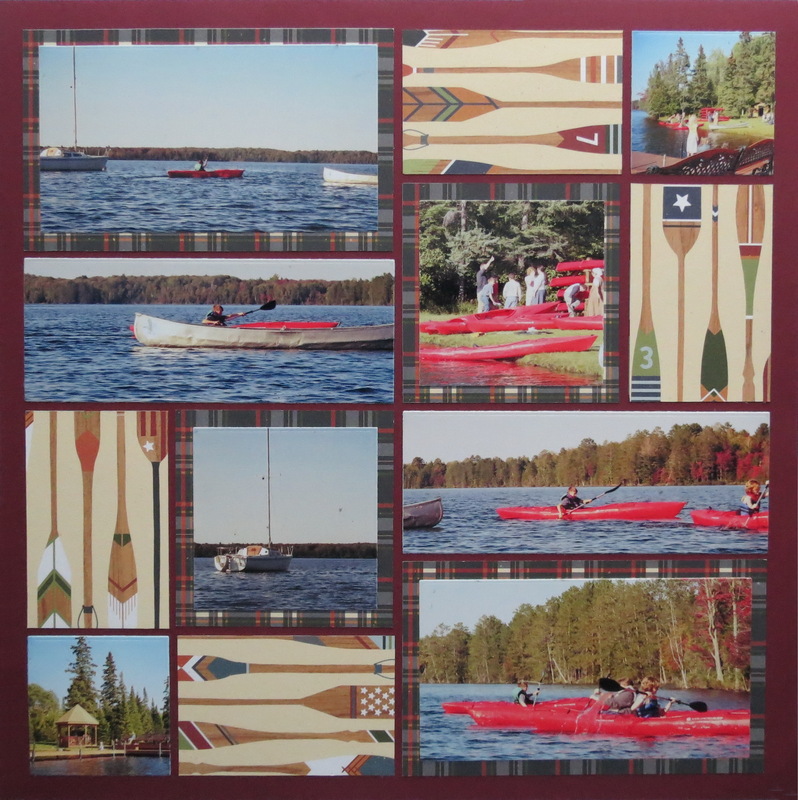 My photos are full of water and a very definite dominant red of the kayaks. 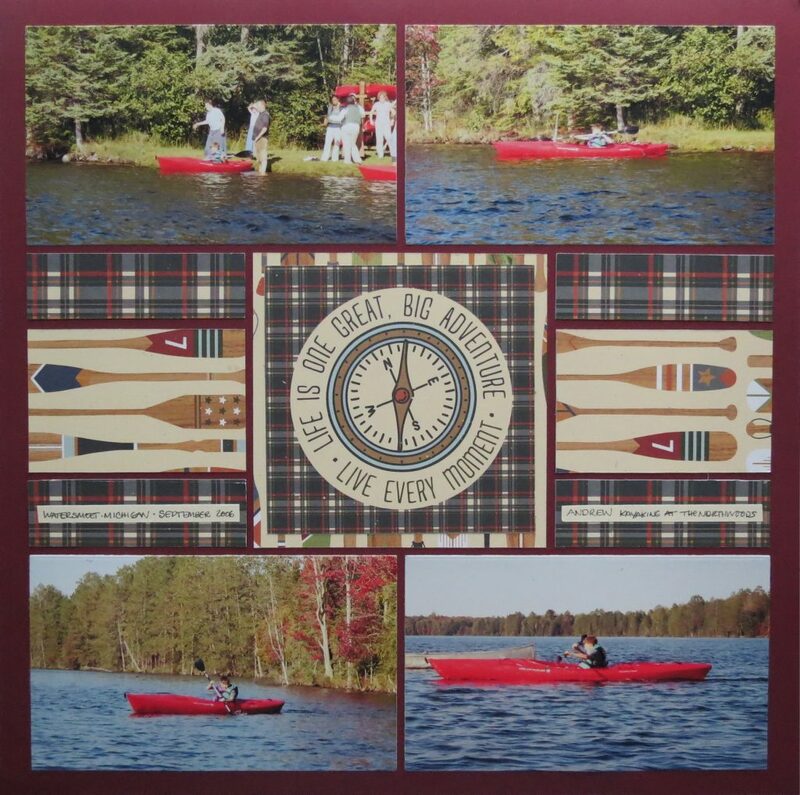 The plaid has a narrow red thread through the pattern so it picks the red up nicely. I wanted to incorporate as much of the paper as possible and have used it to fill sections on the first page and act as mats on the second. 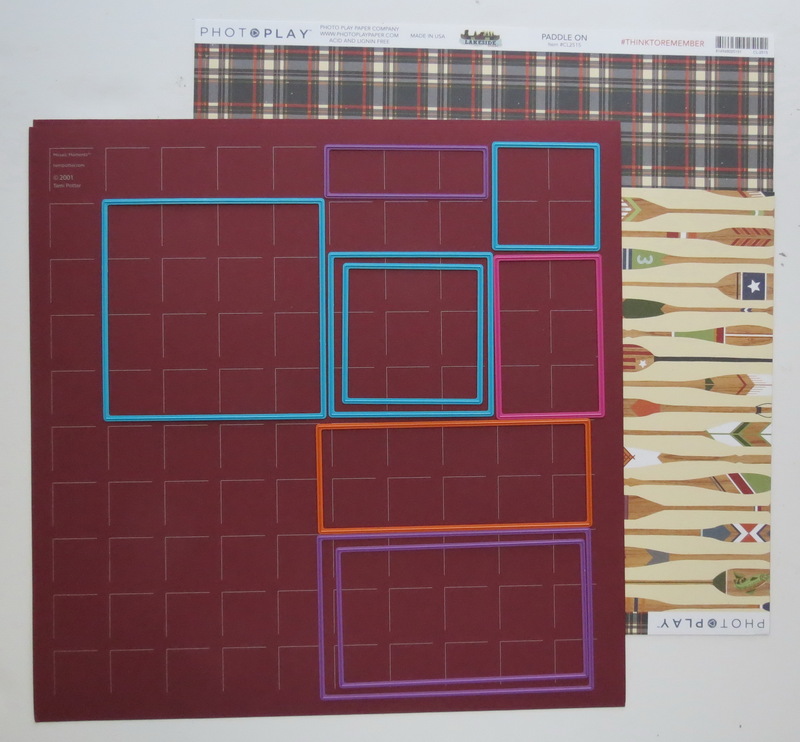 The pattern paper set also included a series of blocks with rustic elements and I’ve used this one mounted on the top of the paddle patterned paper. With so many pattern spots being the same 3×5 size matting the 3×5 photos on page two actually gives me another size and broke up the page for the smaller 2×5 photos. 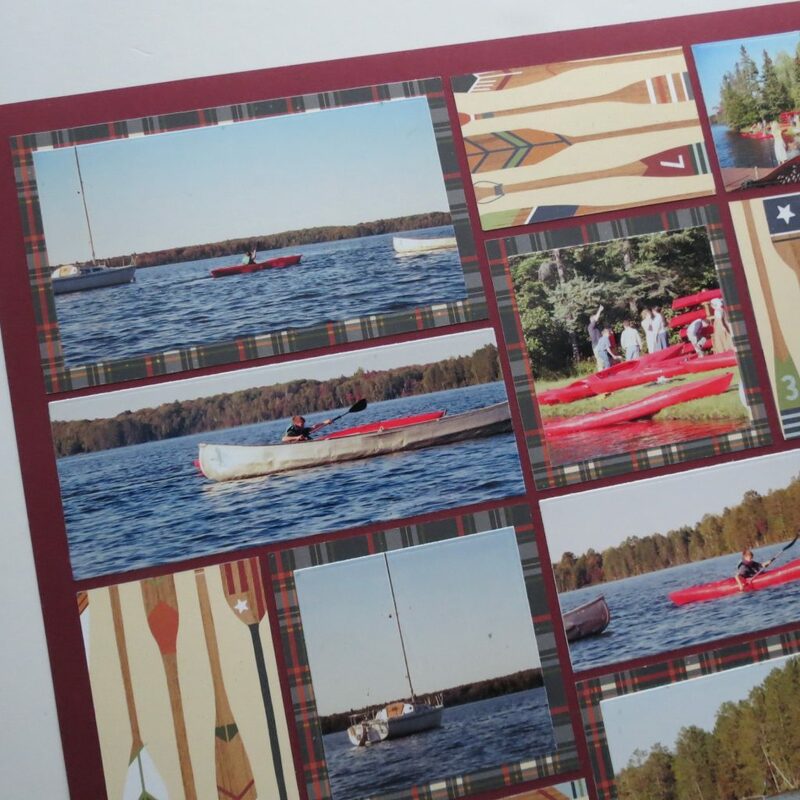 Matting the 3×3 squares helps to incorporate the plaid of both pages for a unified appearance. 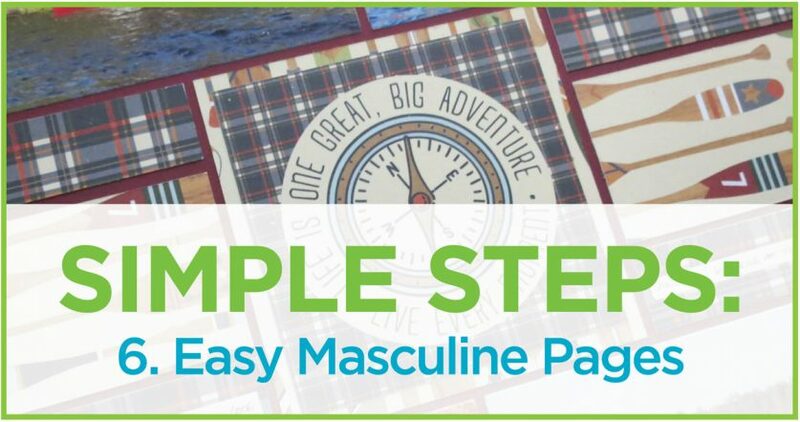 A few color and pattern choices are all it takes to get you started on a masculine themed layout. How about getting started on your own with these Simple Steps?